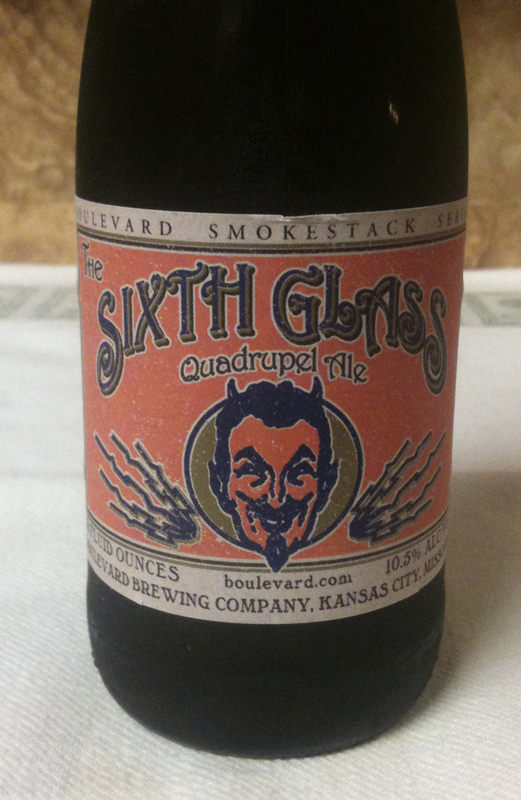 Tonight's beer is The Sixth Glass Quadrupel Ale from Boulevard Brewing Company. 10.5% ABV is listed on the 12 ounce bottle. The web site shows 22 IBUs. This beer poured with a medium head. The color was a little more rich brown than a tan. Beer color is a very dark amber, and is very cloudy with various size sediment. 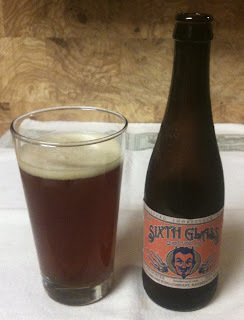 The aroma is very enticing - yeast, fruits, a hint of the higher alcohol. Medium to full bodied. Very rich in the flavor department. Bready, yeasty, caramel sweetness, spice. Cooked or fermented dark fruits. The taste of the higher alcohol is there, but not overpowering - gives you a little warmth. A good amount of carbonation. The aftertaste leaves you with some warmth, and a little sweet and spice. A very interesting and tasty beer.